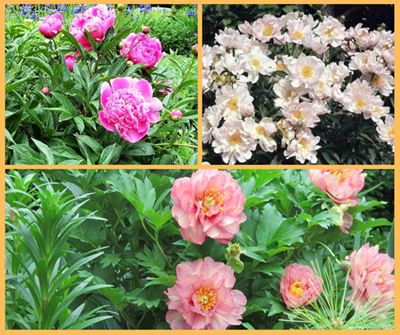 Few perennial flowers compare to the bloom and fragrance of peonies in the spring garden. Many new varieties arrived this week at the garden center; so exciting that they inspired this week’s column. How to Plant Peonies – Peonies are best planted by mature roots that are at least two years old. A plant this mature will often bloom right in our grower’s pot. Peony roots should contain at least 3 eyes, possibly more depending on the variety. Peony eyes, similar to the eyes of potatoes, are small reddish buds that eventually become flowering stems. This week’s delivery of peony plants are covered with eyes! Site – Peonies live and thrive for decades in Northern Arizona, so plant them where you think you’d like them to be for a L-O-N-G time. Peonies like sun and need at least 6 hours of sun each day; a full day of sun is even better. Without sufficient sunlight, you’re going to set fewer blooms and have smaller flowers. Plus, your plants will stand a serious chance of developing fungal diseases. 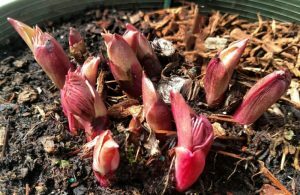 Soil – Peonies are very adaptable. They are Javelina resistant and drought hardy, but they prefer a well-drained, slightly acidic soil. Many of us have gardens of heavy clay soil. If planting in clay soil amend the planting bed with Watters Premium Mulch before planting. This premium grade compost aerates the soil which allows roots to form quickly while increasing drainage; both of which help a new peony adapt to its new garden. Because peonies can remain in the same spot for upwards of 70 years, taking the time to prepare the soil before planting is time well spent. Depth – Peonies like a good chill in the winter. In order to set their flower buds, peony roots should be planted relatively close to the soil’s surface. It may feel odd to leave roots exposed, but peonies actually need this chilling to attain dormancy and set buds. Leave the top of the root ball exposed to the elements, just as you see it in the grower’s pot. Your peony will be happier and bloom better for years to come. Insider Tip – Be sure you don’t bury your peonies too deeply when adding mulch to your garden. Remember, they like access to our cool mountain air. Space – Give each peony plant enough space to grow to maturity without being crowded. Each plant needs a space of about a 3′ diameter for best health. Planted too closely together and denied air flow between plants, peonies become prone to gray mold. This beautiful spring weather makes this the perfect time to plant a new peony. Of the many varieties we’ve just received, most are in full inspirational bloom. All have been grown for this weekend’s 57th Spring Open House. Experienced gardeners and those just starting out will delight in brand-new, first-time-ever plants, plus gifts, prizes, specials, and a chance to hang out with other people that think it’s awesome to get their hands dirty growing their own flowers and vegetables. It will be fun, so join us! 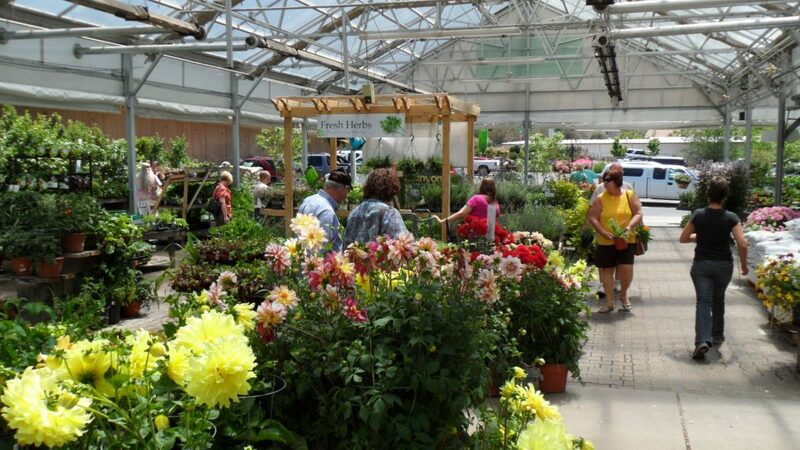 Until next week, I’ll be celebrating spring with other gardeners here at Watters Garden Center.